So, you want to sell your house, or maybe someone else’s house—an aging or deceased relative, for example. And, for whatever reason, the property has experienced “deferred maintenance.” It needs a lot of work! Bringing a “fixer” home up to a sellable standard can seem overwhelming sometimes, especially when it needs significant improvements. Getting top dollar for a property that needs work can be challenging, especially if your budget for improvement is tight. That being said, with the right perspective, some creativity, and strategic emphasis on the right things, it can be done—for less time and money than you probably think. 2. Give rooms a facelift. Repaint the interior walls in a neutral color. Replace carpets (opting for a low-cost but good-quality laminate floor is often a good choice). Paint and new flooring not only improve the look of the house, but also the smell, giving the impression of fresh, clean, and new. 3. Get rid of dated or dodgy furniture. Keep only the nicest furnishings (less is more). If you don’t have any, consider borrowing statement pieces from friends or neighbors temporarily to improve the look of the home for showing. Or pick up a few new inexpensive or free things on Craigslist or local give-away websites. If staging isn’t your forte, ask a friend with an eye for style to help you arrange the rooms attractively. Your real estate professional may be able to provide assistance with this. 4. Give every surface a deep clean. Include exterior surfaces and windows, interior walls, floors, trim, doors, bathrooms, tile, etc. If you don’t have the time or energy for cleaning, hire some help. It will be worth it! 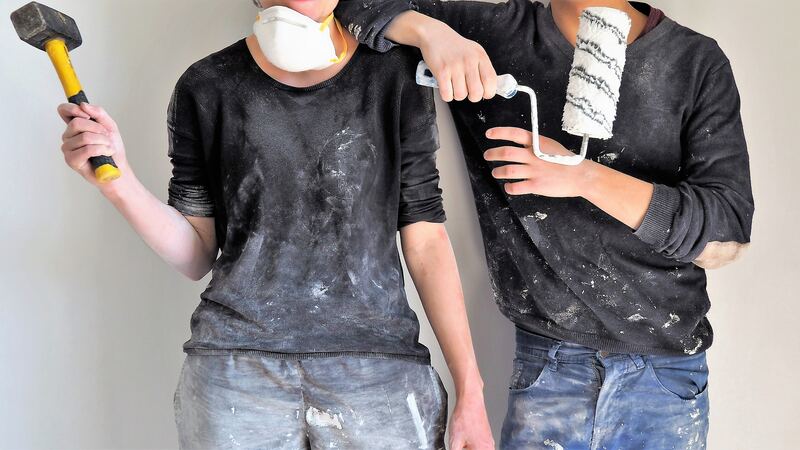 Consider that potential buyers of a dated or fixer property will likely be planning on renovating themselves, and will have their own ideas on what changes they want to make. So you don’t have to do everything, especially things they will likely later undo. That’s why spending big on significant improvements can actually be counterproductive in these situations. Your job is to make the home and property liveable, neat, and tidy, so they can best see and appreciate its potential. Your buyer can take it from there! (c) 2018. Doug Lawrence Real Estate. All Rights Reserved. Doug Lawrence is a licensed real estate broker with Keller Williams West Sound in Gig Harbor, Washington. Do you have a “fixer” you’ve been thinking of selling and are dreading getting it prepped? Give him a call, whether you’re around the corner or across the country. He’s happy to help you get the process started and guide you all the way from sorting to SOLD!